Over a billion of us have some form of different or limited physical ability. Yet so many everyday items are not designed with this in mind. Simple things like door handles that are hard to grip, car doors that are difficult to get into, even the markings on ovens that fade and become tough to read. These seemingly insignificant, everyday quirks soon add up. Easy little improvements here and there can make a massive difference. 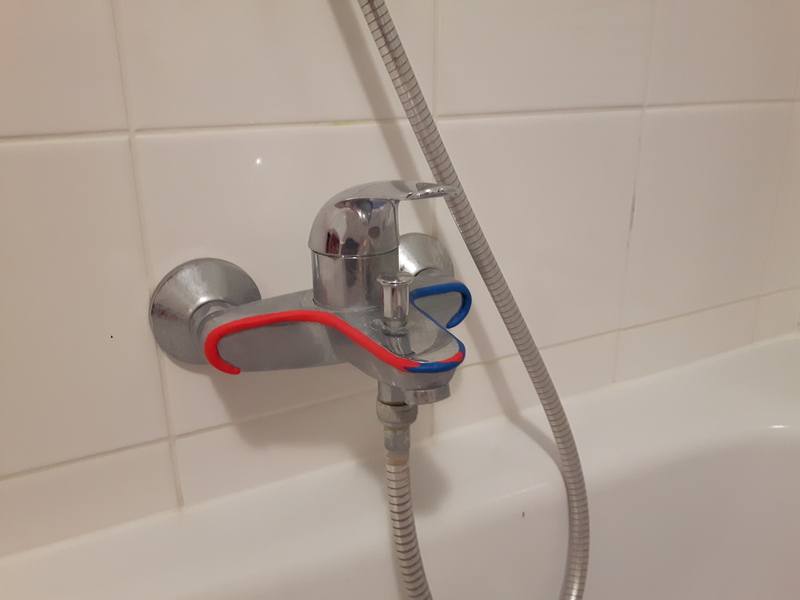 Luckily, the Sugru community shares tons of inventive designs that solve such problems to make people’s lives more comfortable. 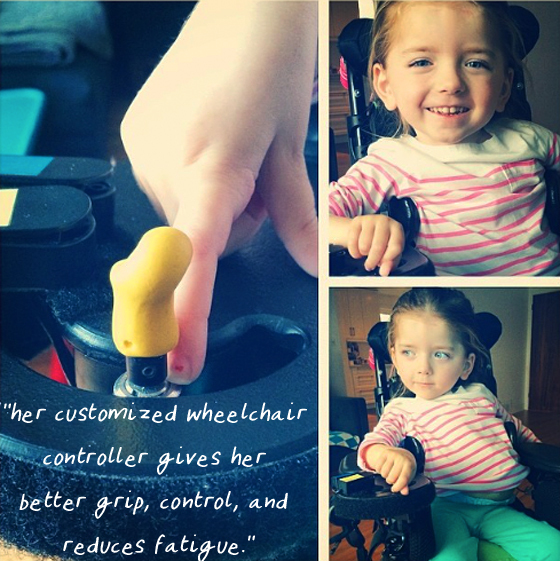 "Because Stella is profoundly weak and her condition is always changing, her equipment needs to be customised. Sugru has proven to be an amazing tool for us, from general repairs and cable management on her medical equipment to fully customised solutions." We’ve always believed that great ideas belong to everyone – especially ones that make a real difference to people’s lives. So join us in celebrating stories that embody the inventive, caring and uniquely can-do spirit of the fixing movement. Who knows, you might discover an idea that’s perfect for you! Mass-produced items are not designed for everyone – especially things with grips and handles. Millions of people with limited motor skills, impaired dexterity or arthritis find some things too difficult to hold or too painful to use. Sugru is perfect for making custom moulds to modify and shape things to fit you, and ultimately easier and more comfortable to hold and use. 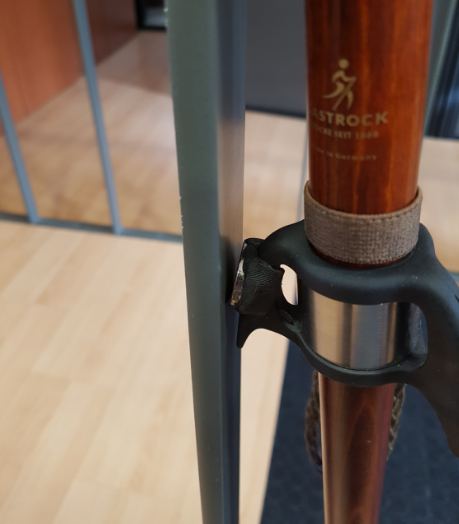 When your favourite walking stick starts to wear you don’t have to replace it, you can repair it with Sugru. 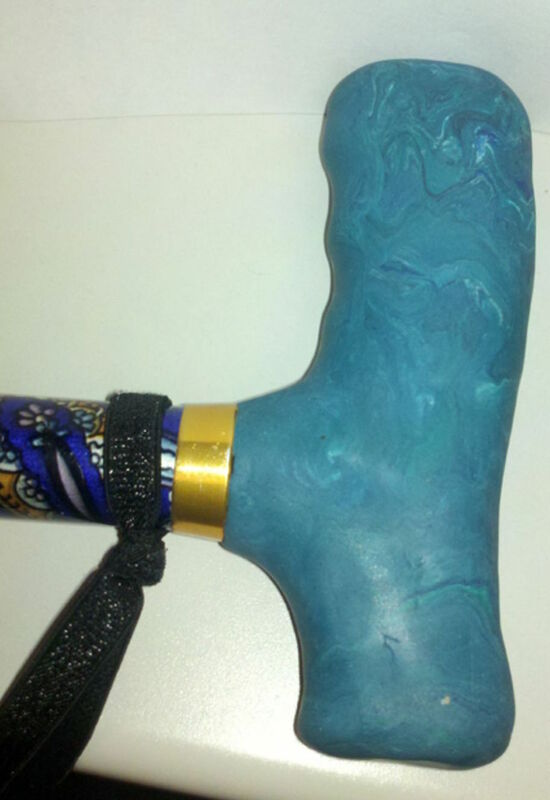 Maya from the U.S.A. used Sugru to improve the grip, add a design feature and make her walking stick more shock resistant. This fix is so easy to copy. 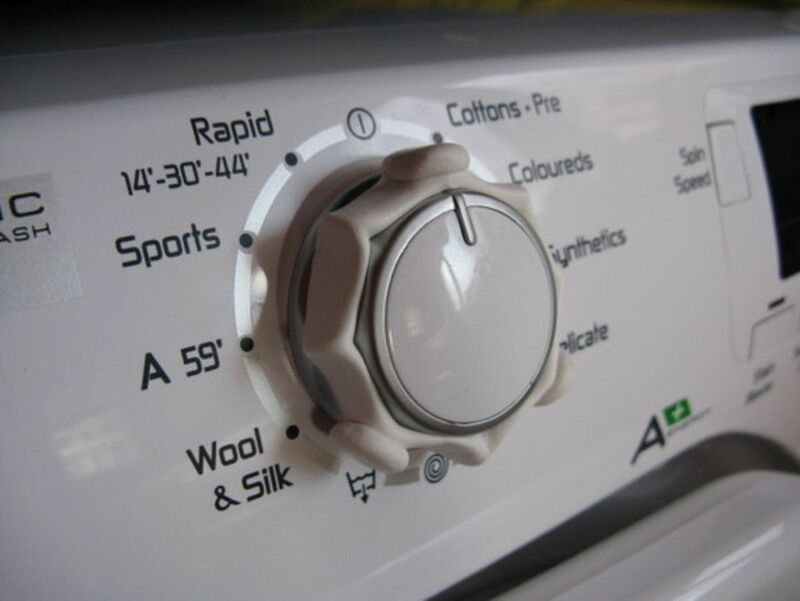 Ovens, microwaves, washing machines and other appliances regularly come with small buttons or slanted dials. They may look nice, but they can often be hard to use. This fix from Janet is a great example of how you can keep a lovely design aesthetic and make things easier to use. “This dial was very badly designed with sloping sides, barely discernible ridges and a slippery surface, so my poor arthritic fingers often failed to make any purchase on it at all. They needed something meatier to grab hold of. This touching fix from Eliose allowed her to adapt her son&apos;s puzzles so that he could play with them just like the other children. 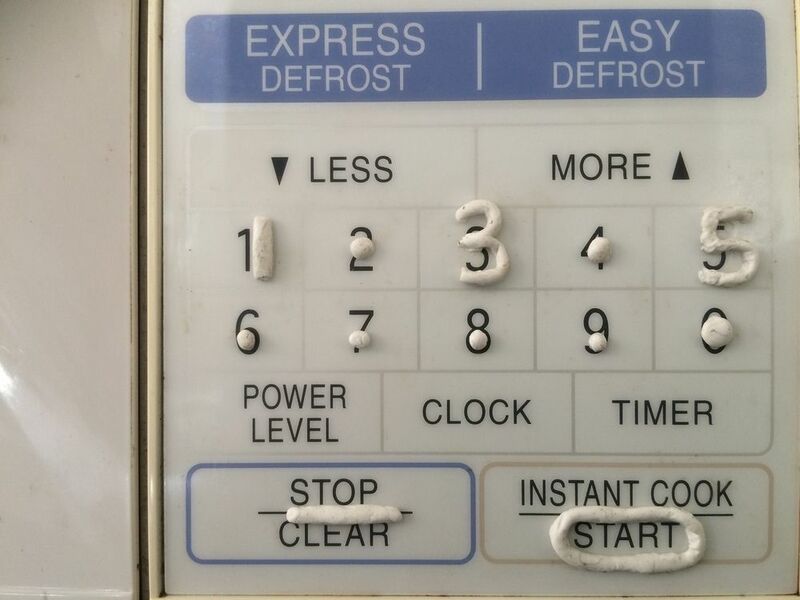 The numbers and dials on washing machines, microwaves, ovens and other appliances can be small and hard to read. And over time they usually fade completely. 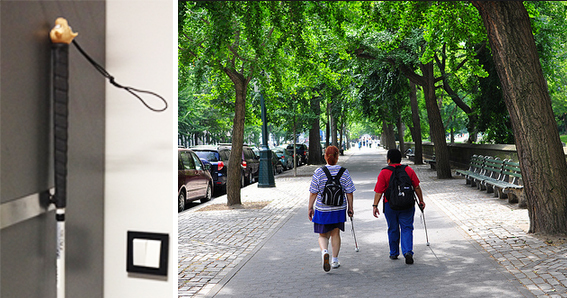 Throughout the years our community has used Sugru to make things more visible and even added tactile markers to help people with impaired vision. 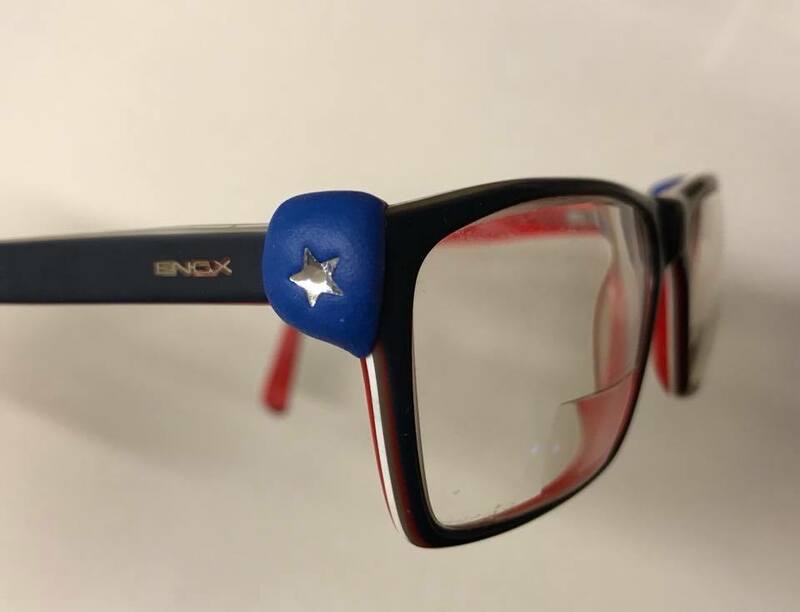 This example from Simona perfectly demonstrates how Sugru can look fantastic and make things stand out, so you don’t need to strain your eyes. Belinda from Australia came up with this idea to enable her blind husband to use the microwave. "My husband is blind, and a lot of microwaves these days have flat number pads that give him no indication of where to push to enter the time or make it start cooking! I Sugru-ed a solution and now he&apos;s really happy about to be able to cook himself a cake in a mug, or microwave some popcorn – (you know, all those health foods blokes love :-) – while I&apos;m off at work." If we wear glasses, we want them to be comfortable and look great. But finding the right pair can be a tough and costly task. Luckily, the Sugru community has found so many fantastic ways to improve and repair their favourite glasses. Make glasses fit more comfortably. Sometimes it can be impossible to find glasses that fit. Use a little bit of Sugru to mould the glasses perfectly for your face. Here’s a great example from Raymond in Sydney. 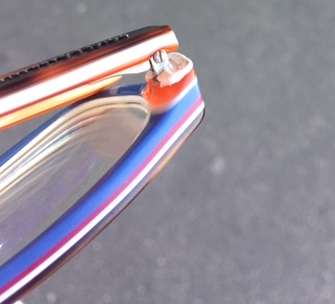 Over the years the hinges on glasses start to wear, and the arms get wider and wider. 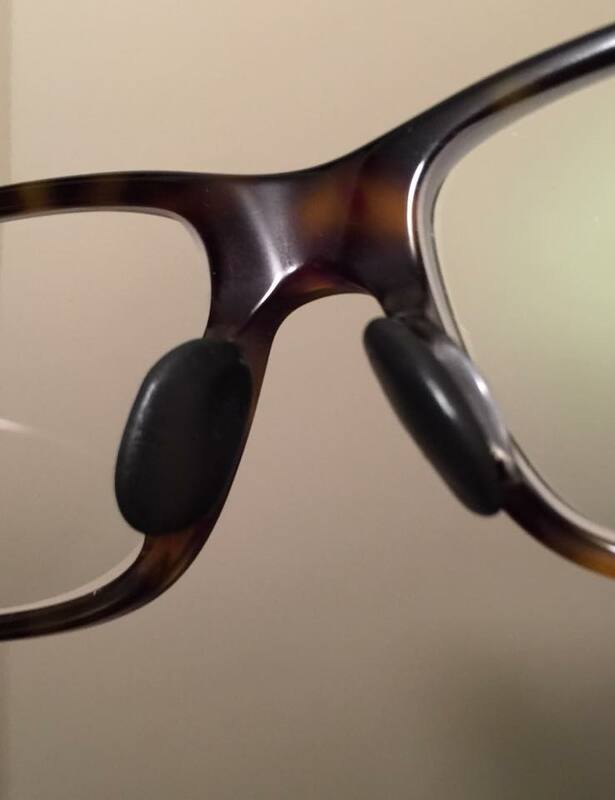 Sugru is great for creating little stoppers to keep your glasses sitting snug. Just like this lovely example from Vicky. We’ve seen some great examples from the Sugru community where they’ve made walking sticks and white canes even more useful. By simply adding magnets, these essential items can easily be stuck to surfaces just where people need to use their hands. They can be put down with full confidence that they won’t fall over and become hard to pick up or find. Outi from Finland works with partially sighted and blind kids who felt their canes were more of a hindrance than an aid. So Outi came up with a brilliant solution. Robert’s walking cane kept falling over when he had to use his hands. Adding magnets made it easy for him to complete his daily tasks without having to worry about retrieving his cane all the time. This lovely fix was the solution to a common frustration. 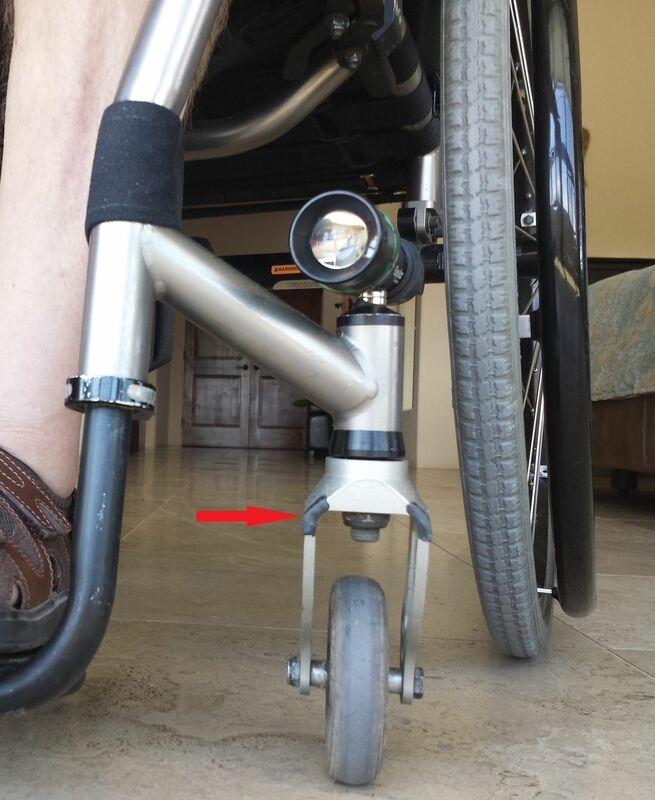 These fixers found that their wheelchairs were scratching many surfaces around the home. Some strategic Sugru bumpers did the trick. Sugru sticks to most surfaces and comes in a range of colours, so it’s brilliant for adding cool designs to your wheelchair. This awesome example comes from Colin in the UK who used Sugru to stick his favourite pins to his. If you have a fantastic fix that improves designs and makes things easier to use, why not share it with our community. You can post it on Instagram using or Twitter using #MySugruFix, share it with us on Facebook, or email it to us. Who knows, you may even win heaps of free Sugru.